Earn the “Tea Time” Framelits for free up until March 31, 2019. 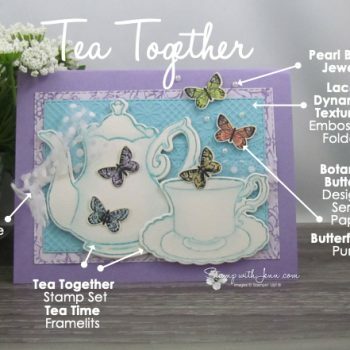 The “Tea Together” stamp set matches and makes adorable cards for Mother’s Day and many other occasions. 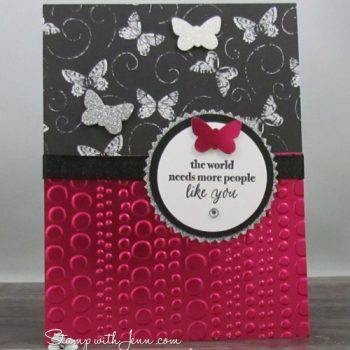 Make it easy to make a masculine greeting card using Stampin’ Up! 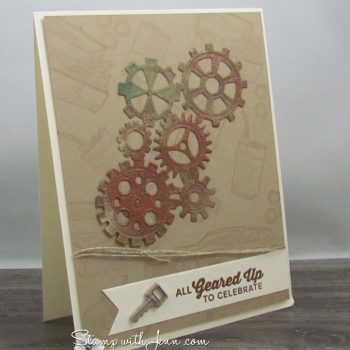 “Geared up Garage” stamp set and dies. Make a tarnished copper gear in a couple of easy steps! 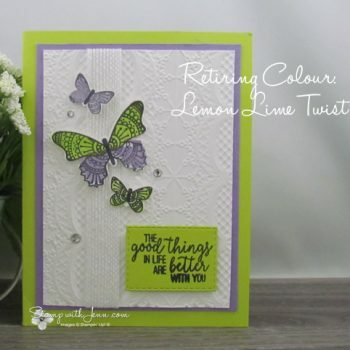 This is the season for weddings and the new Stampin’ Up! 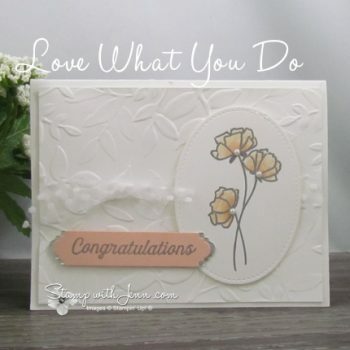 set, Love What You Do, is perfect for weddings. 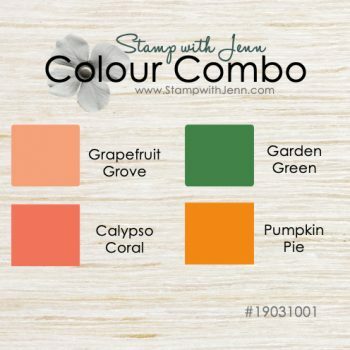 Supply list included with the new Stampin’ Up! Colour. 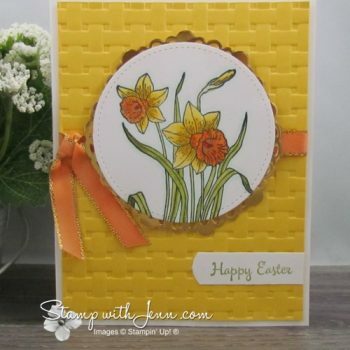 Daffodils coloured with the Blends markers and a tip for colouring your ribbon too! The Basket weave folder is a special Sale-a-bration item that you can get for free. 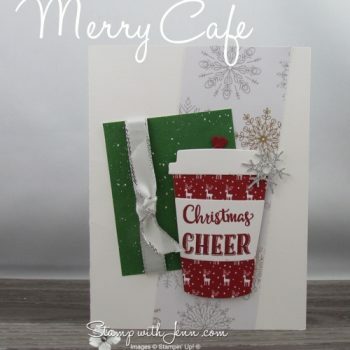 Merry Cafe stamp set makes cute coffee cards for Christmas fall and more. Use Designer Paper on sale during October. Also, see details on Jenn’s VIP program.